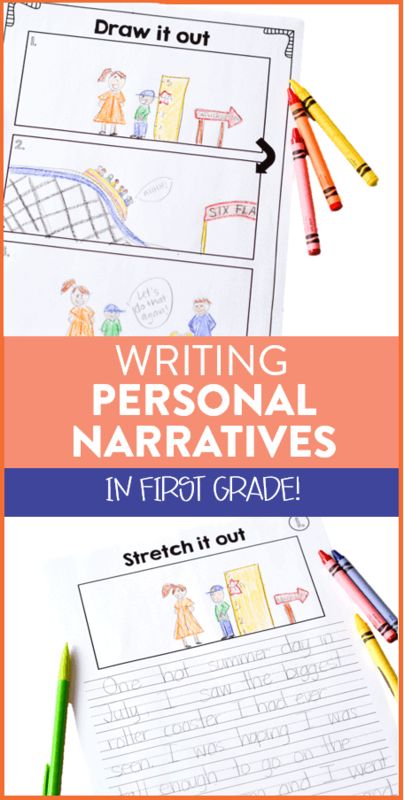 Writing personal narratives is one of the first writing genres we learn in first grade! 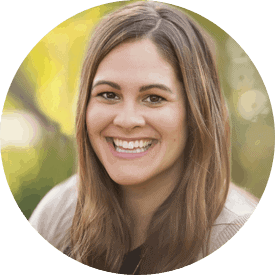 My students are usually successful in this writing venture because they get to write all about themselves. How were they feeling? What happened to them? Who was there? These are all things my students can answer and my job is to help them expand on it and turn it into a complete writing piece. I have been using the same writing unit for the past 5+ years with my first graders and it has yet to let me down. 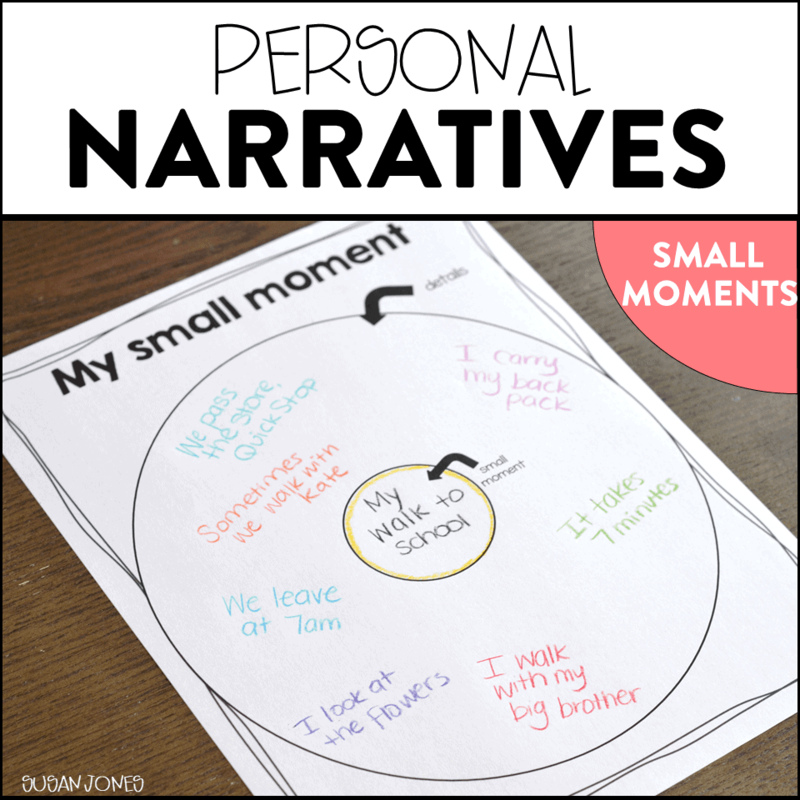 I wanted to share the steps I have my students take when introducing writing personal narratives through small moments. 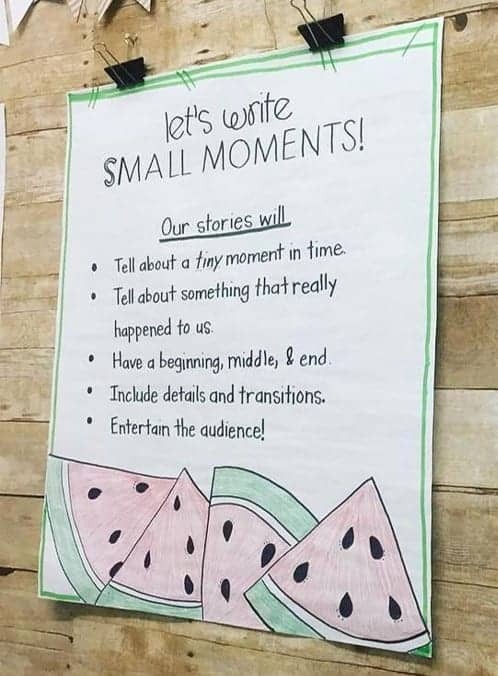 Step One: What is a Small Moment? Next, we brainstorm! We brainstorm all sorts of small moments and where we can find them. 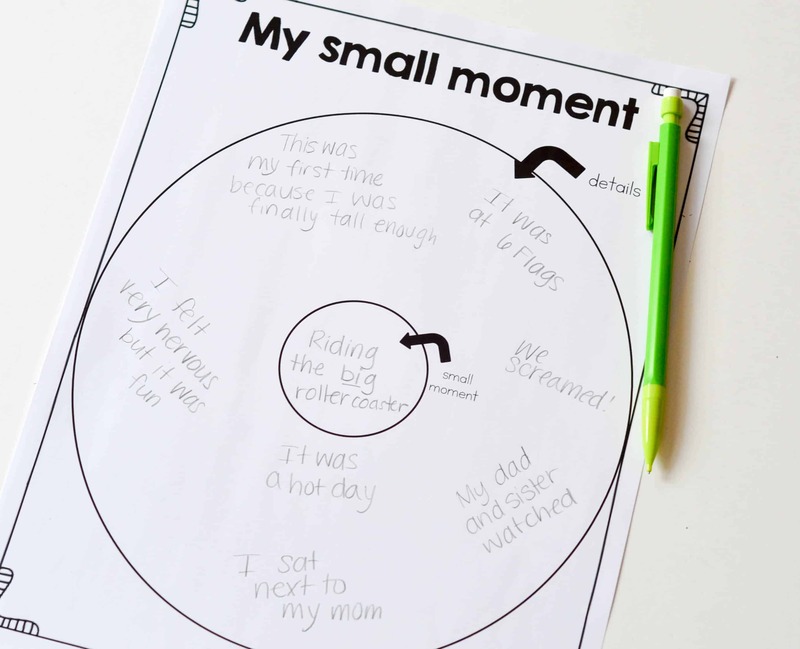 To help my students think of their small moment, I use a graphic organizer that helps us brainstorm moments we’ve had at school, during holidays or special events, we think about times we felt happy, sad, angry, nervous, and more! After we brainstorm the details of our small moment, I like my students to draw out the beginning, middle, and end of their stories. When they draw, I try to have them add details from the day. Then we streeeeeetch out our drawings. 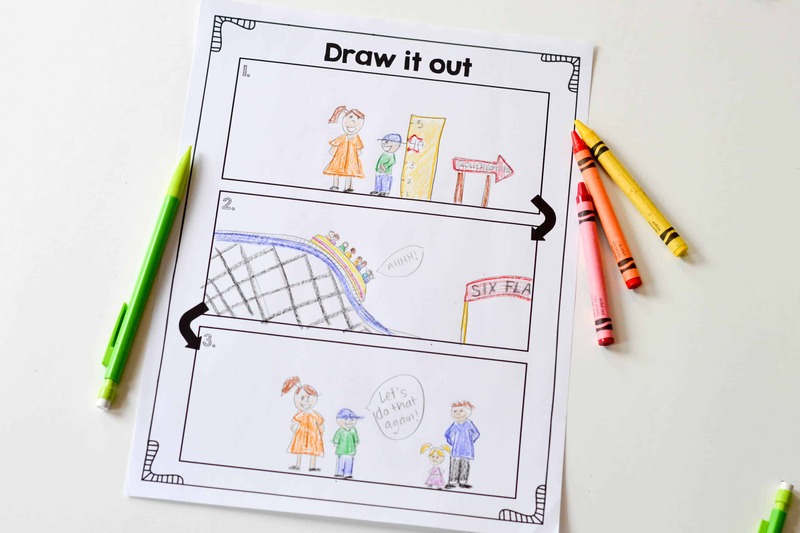 Each drawing (1, 2, & 3) gets its own stretch it out sheet for students to begin putting words onto paper to form their own personal narratives. These are the times where I like to talk about using a clear opening to set our story up and wrapping it all up with nice closing. 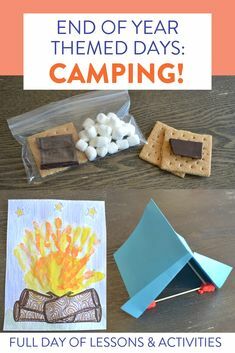 Step Four: Adding some FUN! After we have our rough drafts in order and a base to our story, it’s time to add some FUN! 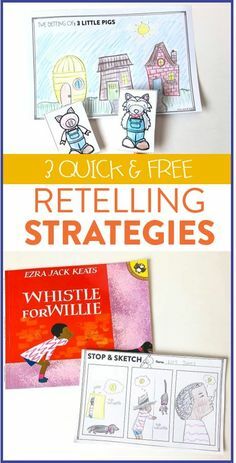 We use Jonathon London’s FROGGY books as mentor texts for the following writing skills. 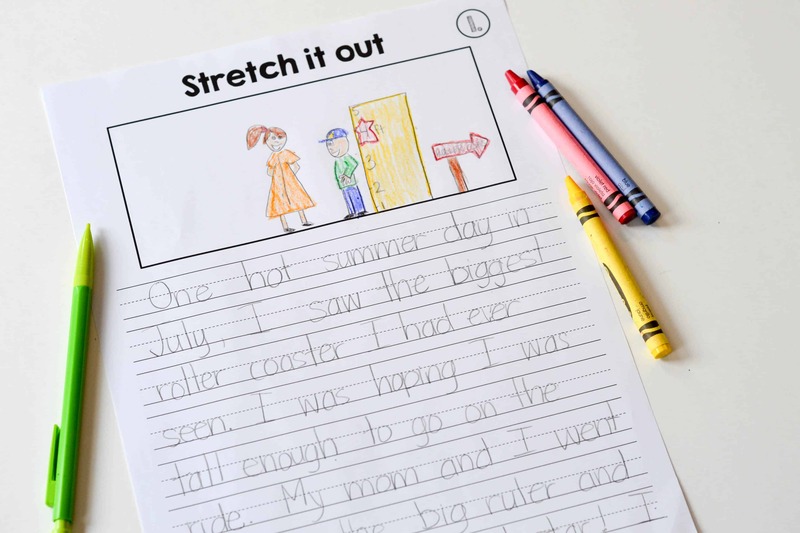 Each day, I introduce one skill with the anchor chart, we read a FROGGY book and see how Jonathon London uses it, then we go into our rough drafts and try to add it into our story! 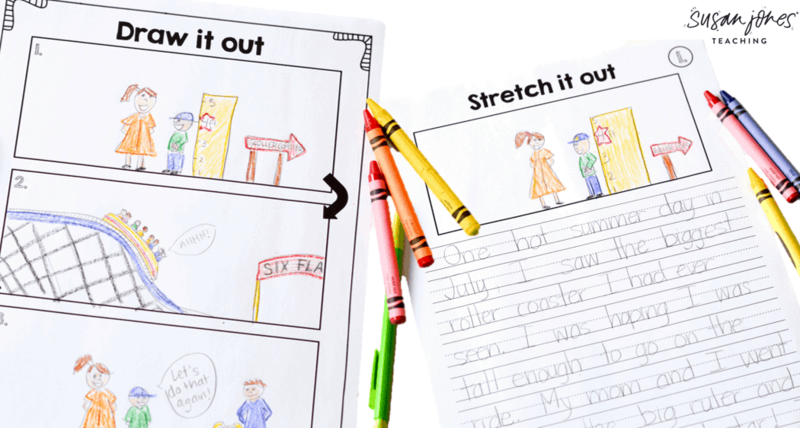 Before we publish, we know that writers must go back into their stories to revise and edit! 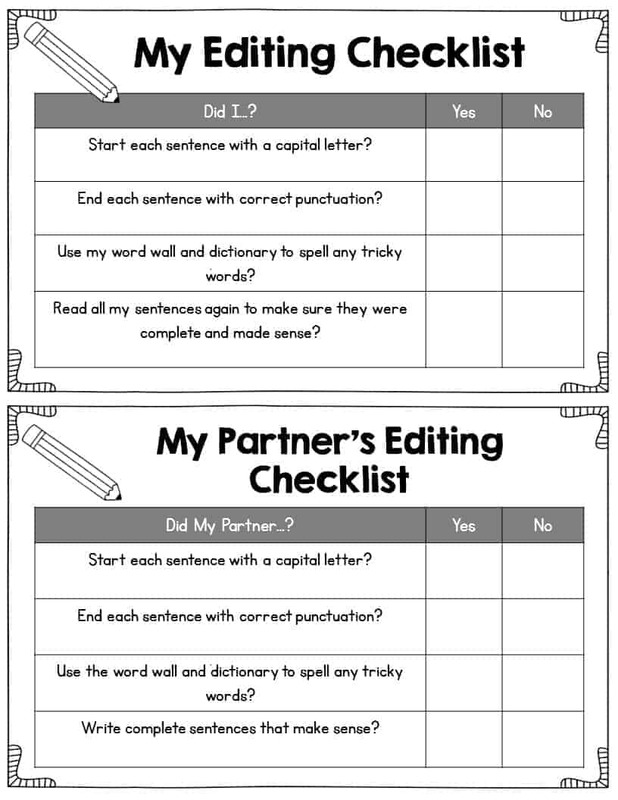 We spend a few days editing our own stories and we also try to edit/revise a partner’s story. 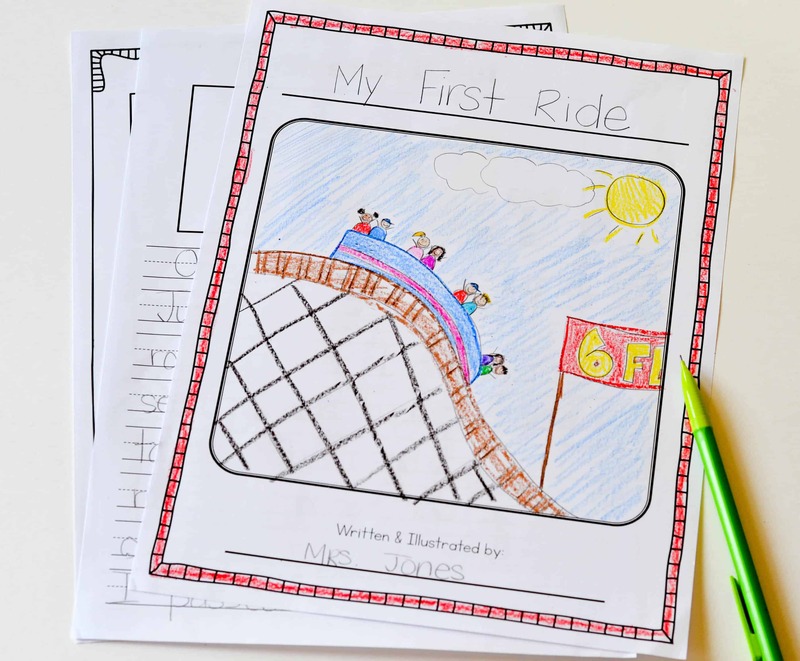 Editing someone else’s work is a very difficult thing to do in first grade. especially towards the beginning of the year when my students cannot read their partner’s work yet. 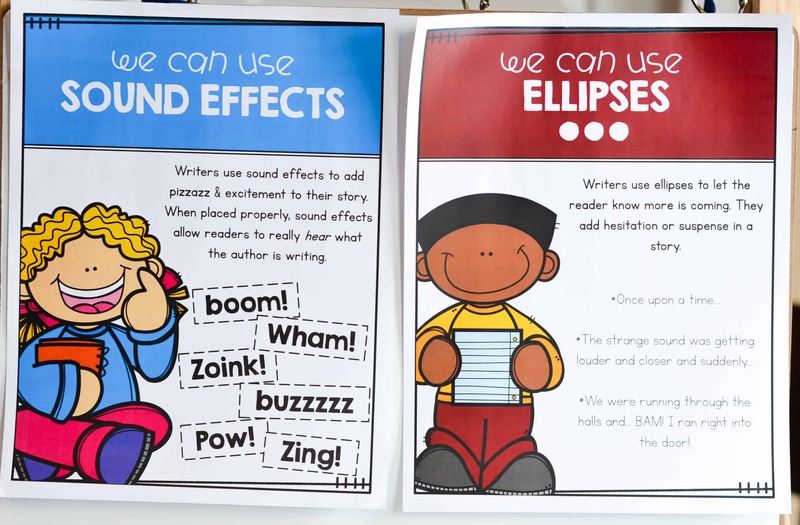 I still find it to be very beneficial to the entire writing process and my students’ understanding of what the writing process looks like a feels like. I also like to listen to my students explain their work to a partner as they point out different parts of their stories. 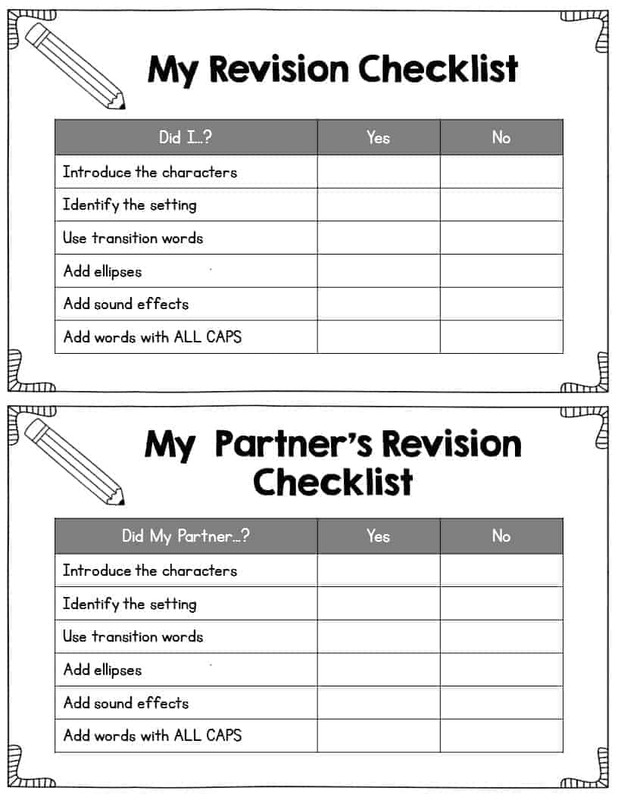 The above checklists are found in my personal narratives writing unit. Last, but certainly not least, my students go on to publish their final works! 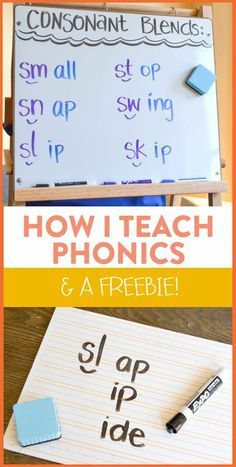 They must read through their rough drafts or “sloppy copies” as we call them and re-write them focusing on their neatest handwriting and colorful illustrations. My students also think of a title for their story and create a cover page. Those are the basic steps we take as we create our narratives. 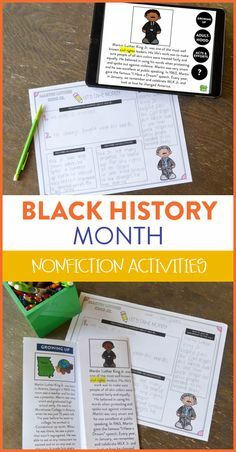 In my narrative unit, I have detailed lesson plans for each day of this unit that are more in-depth. I also have had many teachers ask me if my students only write one personal narrative throughout the unit. My answer is NO! My students actually write, edit, and revise many different narratives throughout a 5-7 week period. 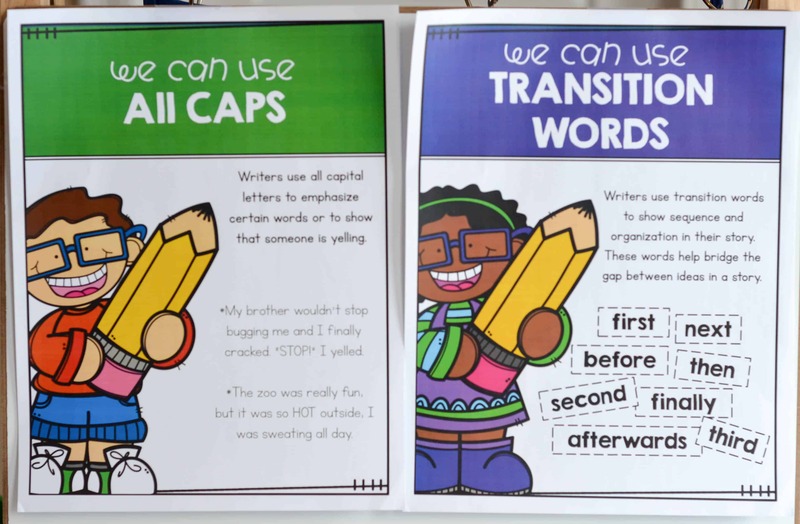 I like for my students to have a lot of choice, so every day during writer’s workshop they can add to the narrative they are working on currently, or start a new one taking the steps they already learned how to do. So they may be working on a few different narratives at one time. That being said, usually abotu half of my class choose to only work on one at a time. We do only go through the publishing portion once. 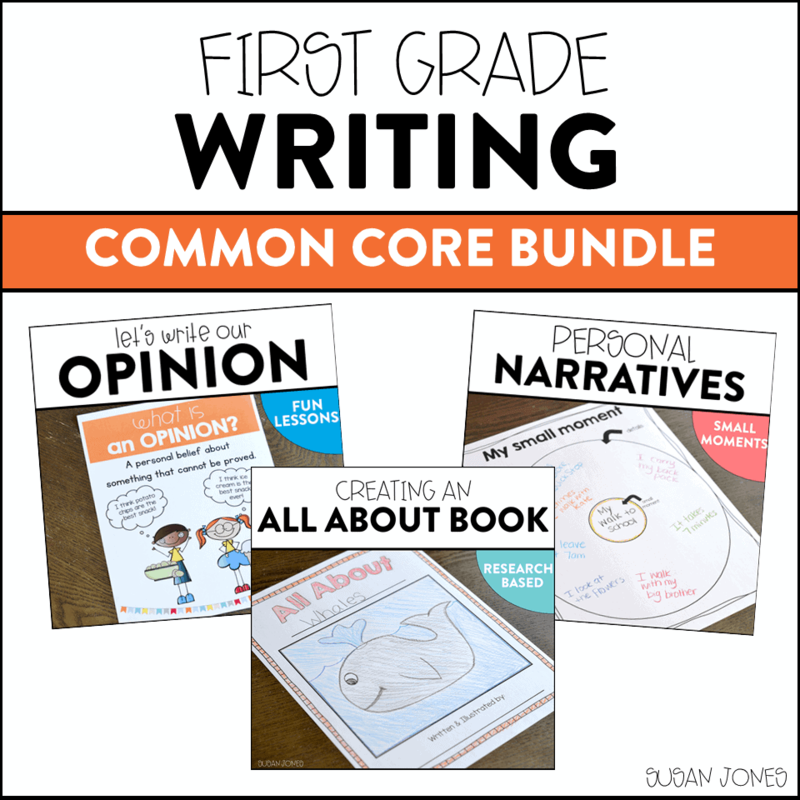 My students choose the one narrative they want to publish from beginning to end!